If you have been hurt by someone else's carelessness, or if you are facing criminal charges, it is never too soon to learn about your rights and your options. We offer a free consultation that will give you the opportunity to talk with us without obligation. We will discuss the facts of your case, the effects on you and your family, and the strategies available for making things right again. Our skilled team seeks compensation for victims' losses and damages in a wide variety of personal injury cases. We have the knowledge, experience, and skill needed to build strong cases for our injured clients. Our lawyers have a unique blend of knowledge and experience. We use a team approach, making sure that our strategy is the best one for each individual client. The legal team at Purchase, George & Murphey includes a former prosecutor, former insurance company defense lawyers, and a former insurance company claims supervisor all of whom now devote all of their efforts and experience to helping injured people and people accused of criminal wrongdoing. We limit the number of cases that we accept so that you can receive the time and attention that you and your case deserve. As long-time residents of Erie County, PA, we understand the legal system and we work hard to be good community members. Many of the people we help are our neighbors, police officers, doctors, teachers, and others who have known us for years. When you hire Purchase, George & Murphey, you will be treated the same way that we would treat our own friends and family with respect, personal attention, and dedication. Here, our clients come first. Before opening his Pennsylvania personal injury practice, Mr. Purchase was a trial lawyer with one of Erie's largest law firms and served as both an equity partner and a practice group chairman. At that time, his practice consisted primarily of representing the region's largest insurance companies and employers in trials and arbitrations. His cases included personal injury and wrongful death claims, contract disputes, insurance coverage disputes, insurance bad faith claims, medical malpractice claims, and shareholder rights disputes. Mr. Purchase has represented clients all over Pennsylvania, the United States, and overseas, including cases and clients in Singapore, Denmark, the Netherlands, Brazil, and Canada. Mr. Purchase has taught and lectured to other lawyers and insurance adjustors on many subjects, including trial tactics, Pennsylvania auto insurance, car accident law, and other injury law subjects. His lectures include Supreme Court approved Continuing Legal Education seminars, as well as private seminars for claims professionals. 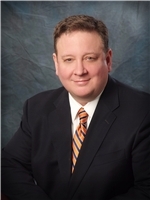 He serves at the highest levels of Pennsylvania trial lawyer associations, including the Erie County Bar Association, the Western Pennsylvania Trial Lawyers, and the Pennsylvania Association of Justice. 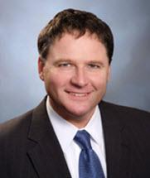 Craig has been a trial lawyer for over 25 years. Before joining our team, Craig was a partner in one of Erie's largest law firms, where he concentrated his practice on defending personal injury cases - especially car, truck and motorcycle accident lawsuits involving deaths or catastrophic injuries. Over the years, Craig has also represented and advised insurance carriers in numerous types of claims involving automobile, homeowner's, or commercial general liability policies. He has also handled many cases that have shaped Pennsylvania auto insurance law, especially in the arena of uninsured and underinsured motorist coverage. Craig also has much experience with insurance bad faith cases. He has represented and counseled both insurance companies and policyholders in bad faith claims, ever since the Pennsylvania bad faith claim handling statute was enacted in 1990. Darrell is an Associate Attorney with the firm. Darrell was born and raised in Pittsburgh, Pennsylvania. He graduated from Seton Hill University in 2008 with a double major in History and Political Science. In 2013, Darrell graduated from Duquesne University School of Law. During his time at Duquesne, Darrell was a Certified Legal Intern with the Butler County Public Defender's Office where he represented juvenile and adult defendants in a variety of settings. Prior to joining Purchase & George, Darrell was a Volunteer Law Clerk for President Judge Joy Flowers Conti of the United States District Court for the Western District of Pennsylvania. Attorney Darrell Kuntz devotes his practice to the fields of Criminal Defense and Personal Injury. He and his wife, Sara, have one son, Jackson.